Sally Hansen hit a homerun with these. I love them. 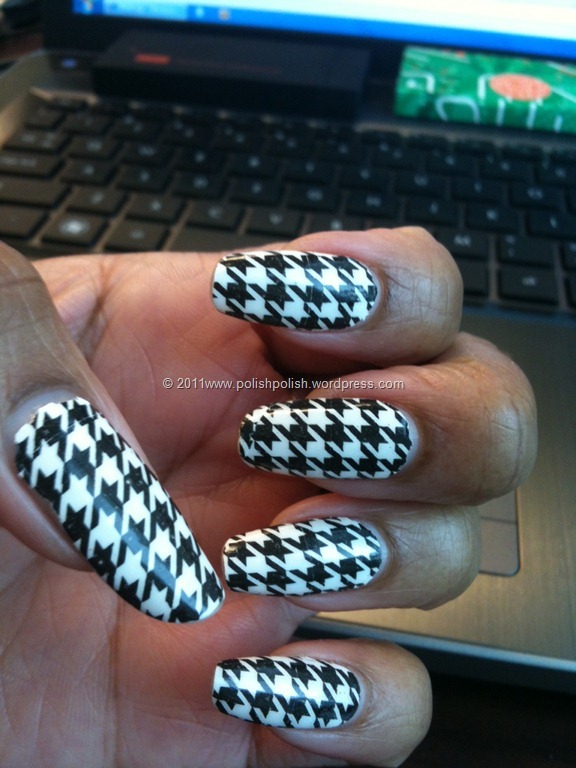 What I love most is that this is actually nail lacquer…. in a little strip. Which means, it comes off with polish remover. Without the drying time. Without the bedsheet imprints, lol. And without soaking off nail tips or layers of gel, or super tacky adhesive. No super expensive heat lamps needed. No licensed nail technician. Or special training. Relatively easy to apply. Best to follow instructions exactly as printed. 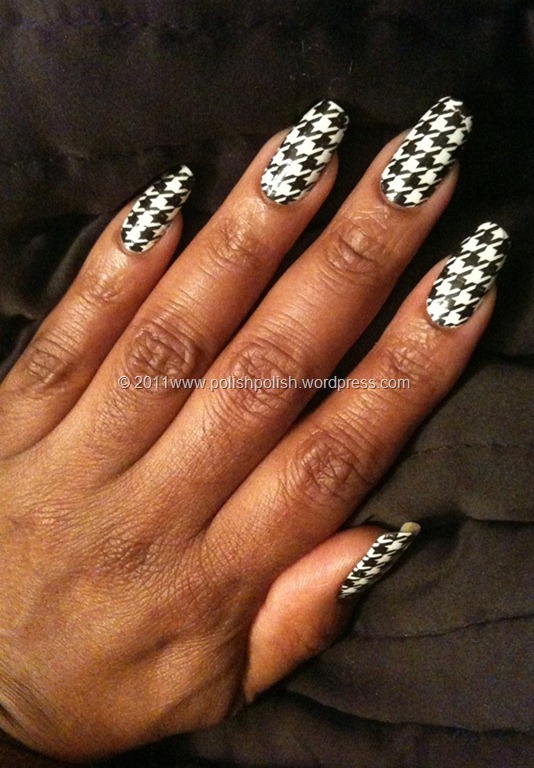 Definitely do all other eight fingernails first and do the thumbs LAST! You’ll feel handicapped otherwise. Your thumbs become an integral part of the process of removing the backing and top sheet from the tapes to apply them to your nailbeds. The company touts this product as lasting up to TEN days. I have heard otherwise…. but my experience: I believe them. I actually was sick of having the same design on my nails for so long, so I just removed them. There was nothing wrong with the polish. I even tried chipping the polish away at my cuticles and everything. No dice. I did use Sally Hansen Insta-Dri Fast drying topcoat a while after applying the strips just because I am accustomed to more than one coat of nail polish on my nails. It gave it more shine, and maybe it helped extend the wear. Not really sure. I do believe that chipping has a better chance of occurring when the tips of the nails are used for daily activities as opposed to the pads of the fingertips. But that’s really a theory since this polish didn’t chip at all on my nails. The price. It was about $10 where I purchased mine. (CVS). Not too bad, I suppose. 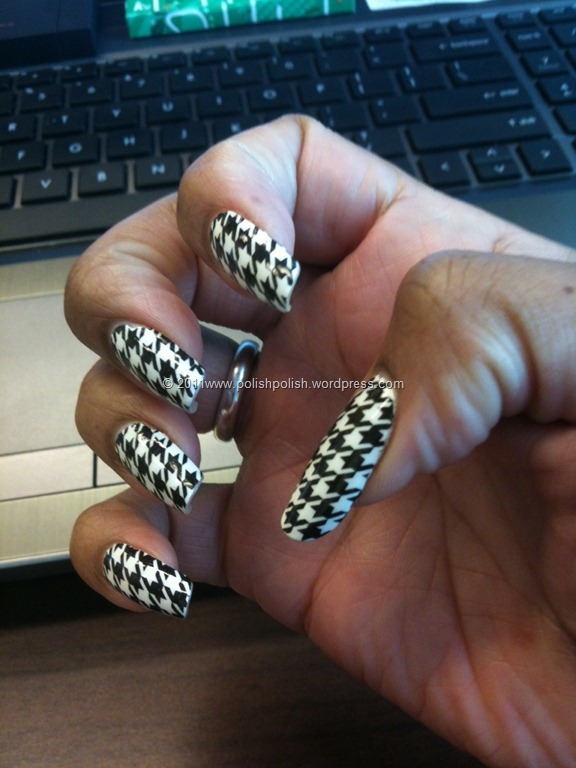 This entry was posted in Manicure, Sally Hansen Salon Effects and tagged Check It Out, houndstooth, nail polish tapes, Sally Hansen, Salon Effects.